Last 2000, FAA granted Boeing a airworthiness certificate to produce a MD-10 freighter. 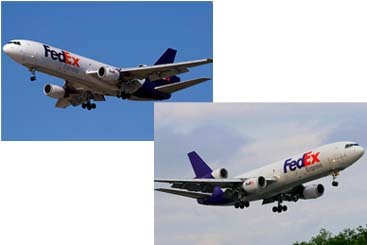 Boeing delivered the first 89 MD-10s to FedEx. The MD-10 flight deck features a sophisticated avionics systems manufactured by Honeywell Air Transport Systems of Phoenix, Ariz. The latest flight deck features 6 eight inches LCDs which is operated by a VIA 2000 computer system manufactured by Honeywell computer system. This system is similar to those seen in aircrafts such as the Boeing 777 and 717. The certification and modification services for the MD-10 are handled by Boeing Airplane Services. They offer engineering recovery and repair services, retrofit packages, interior reconfigurations, avionics upgrades, airplane performance improvements, and passenger-to-freighter conversions for all Boeing commercial airplanes. They also have the most wide-range of spare parts distribution system in the aviation industry. They have a global system of distribution and service centers.